La Reunion is calling it a weak low. 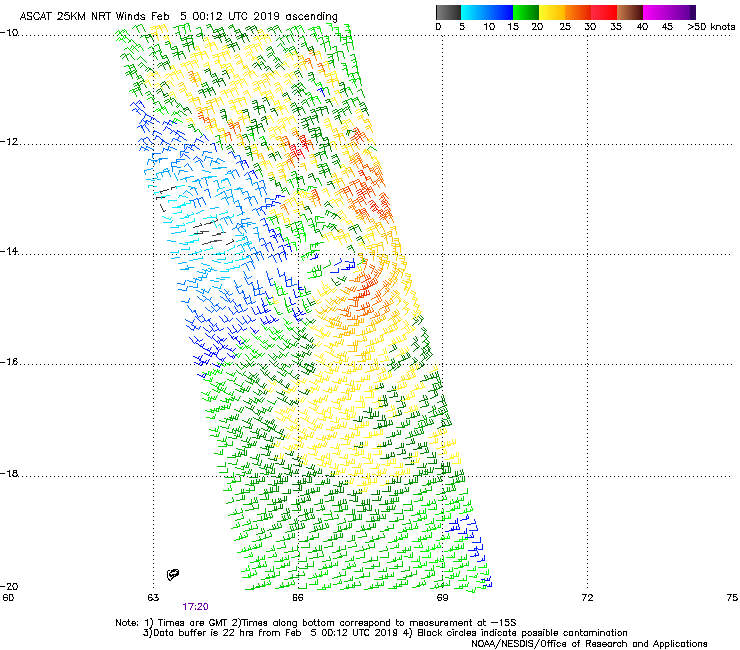 3Z ScatSat indicated a well-defined LLC with 25kt winds. Looks close to TC strength now. Still looked open on the west on a earlier pass. May have closed off since. 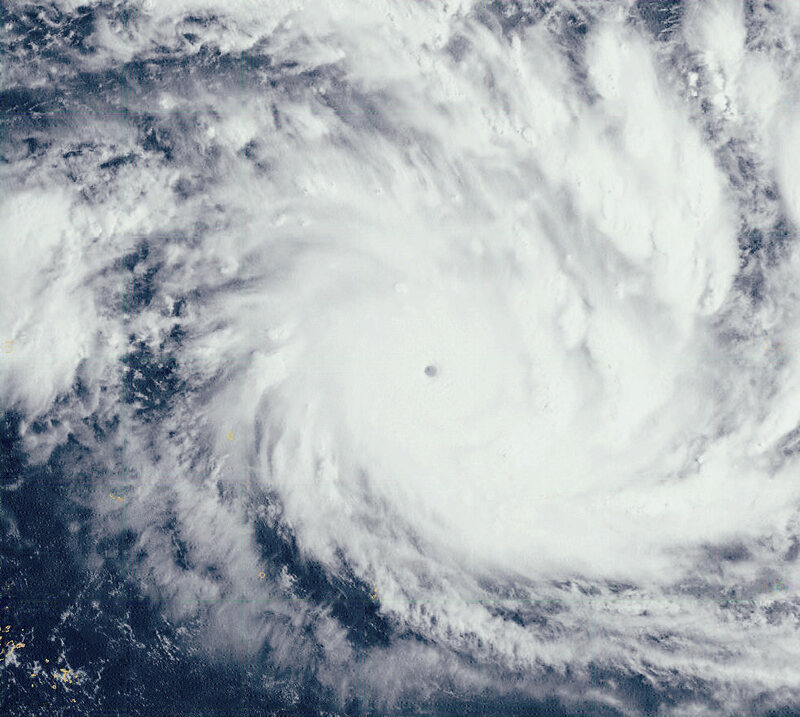 Reunion Island, official RSMC has Dvorak 2.5, which would generally mean it's a TC. However, their advisories use 10-min winds. That means that even though this system liely has 35kt winds (as indicated by ScatSat), they're keeping it a depression. Nice clearing out eye on this, uh, 50kt "tropical storm". YIELDS A 6HR FT AVERAGE OF 5.0. Looks like it's at 90-95 kts now. MFR upgrades to Tropical Cyclone intensity with 85 kn, they think it may have peaked.